Property Managers Melb | How Do You Find A Good Rental Investment? It's not what you know rather who you know. We look at the benefits of using people in the know to find a good rental investment. How Do You Find A Good Rental Investment? We can write an entire book on tips and tricks of finding a great rental property. It’s a complex subject that has many angels from tax implications, finding the right property that actually grows in value to securing good tenants that will look after the property. If you have never purchased a property before it’s a good idea to speak to people who are ‘in the know’ to avoid the typical mistakes of buying. Mistakes almost always cost you money either in rental yield, holding costs or a low selling price. Then there is the emotional roller coaster of real estate that hits you every time a mistake surfaces. They can turn into a long, drawn out process that can drain your funds and impact your quality of living. Property ownership can be stress-free if you make the right decisions when you purchase and lease out a property. The key is making the right moves from the beginning. When buying a property, getting advice from the right people – professionals that are experts in their area – can put you years ahead of where you would naturally end up. They can save you tens of thousands of dollars and literally keep you in the game. They can be the difference between buying a second or third property vs. not buying at all. Property that requires regular maintenance – Usually older homes fall into this category. Property that doesn’t attract tenants – this can force you to make risky decisions with below average tenants. Buying cheap property that has spent too much time on the market. You will most likely have the same difficulty selling. Property that has larger than normal outgoings like body corporate rates. Property located on busy main roads. Property that is isolated from public amenities. Suburbs that have sluggish capital growth. Property that isn’t typical for the suburb. Committing to renovations that are too large. Loan serviceability. Too large of a gap between loan repayments and rent. The above errors sound simple enough but are usually made when property buyers are caught up in the moment of buying. They use emotions rather than sound logic and don’t implement a sound buying and selling plan. What is a selling plan? It’s an exit strategy if something goes wrong or if things go right. Every journey must have an end, doesn’t matter how long it is and setting an end date gives you direction and clarity. Q: So who are the main people you need around you to buy a good rental property? Execute a mortgage once a home has been purchased. Traditionally, homebuyers would go directly to the bank for a loan. The problem with this is some banks can be very tight on the amount of funds they can offer which can completely change the type of property you’re going to purchase. Mortgage brokers have access to hundreds of loan products across many banks around Australia. It’s their job to choose the most competitive product that will suit your lifestyle changes. The best part of a mortgage broker is that their fee is paid by the bank. Buyers Agent: these are skilled property buyers that have decades of experience when it comes to buying property. They used to be real estate agents that represented the property seller. Hence they know the ins and outs of the whole selling process. Now their job is to solely represent the property buyer. 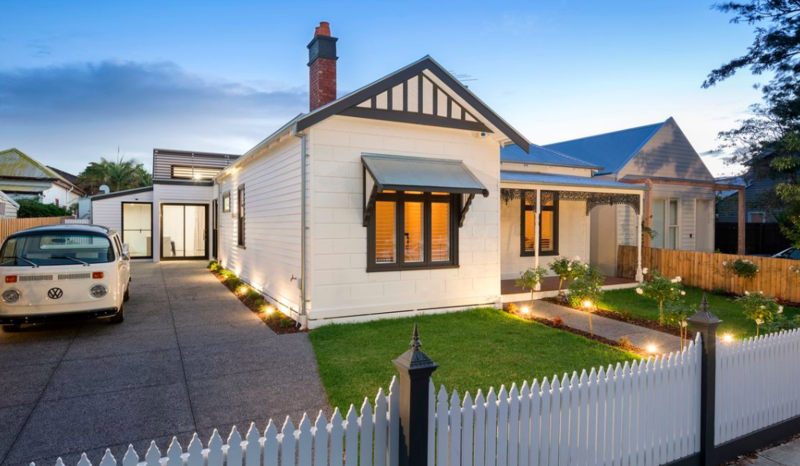 The best capital growth prospects in a good suburb. The ability to attract tenants easily that will look after your investment. Source a low maintenance property that ticks all the ‘good investment’ boxes. How much do buyers agents cost? Buyers agents fees can vary so to get the best bang for your buck, find a buyers agent that offers a fixed fee until a property is purchased. Be prepared to pay anywhere from $6,000 to $12,000 for a buyers agent. Qualify tenant’s suitability for your property. Prepare lease agreements and condition reports. Collect rent and prepare rental statements. Project manage any urgent and non-urgent repairs. Regularly inspect your investment property and provide feedback to the landlord. Collect bonds from tenants and lodge with the state authority. Prepare a long-term maintenance plan. Pro-active property mangers will be one of your best investments in protecting your rental for the long term. When re-selling your property, the way it has been looked after can make all the difference when it comes generating a great sale price at the end of it all. Many people do things just for the sake of doing things and their results are usually mediocre. Getting help when buying property can give you the edge you need for financial security. If you’re interested in finding out more about how a boutique property manger can help, Property Managers Melb offers a complementary first consultation. In the meeting your consultant will give you a rental appraisal, assess your current scenario and provide a complementary action plan. For more information on the service please call us directly on 1300 00 MELB or leave your details on our contact page. SHOULD YOU USE AN AGENT TO RENT OUT YOUR PROPERTY?